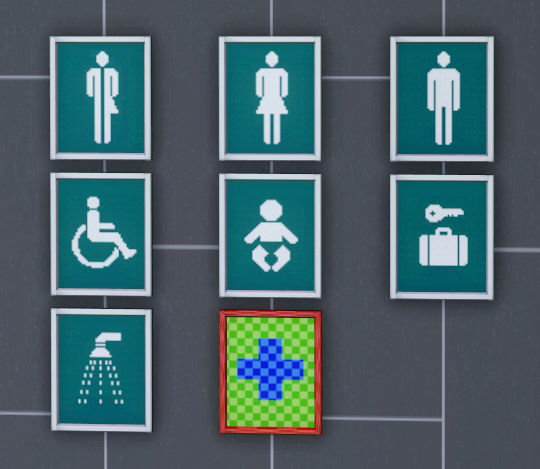 This set of public signage includes presets for gender-neutral, female, male, accessible facilities, child-related facilities, lockers, showers, and medical care. The small size of these signs makes them very versatile, perfect for adding a touch of realism to gyms, libraries, clubs, coffee shops, stores, pools, parks, and other public venues. Found in Decor --> Wall Decor, priced at §10. 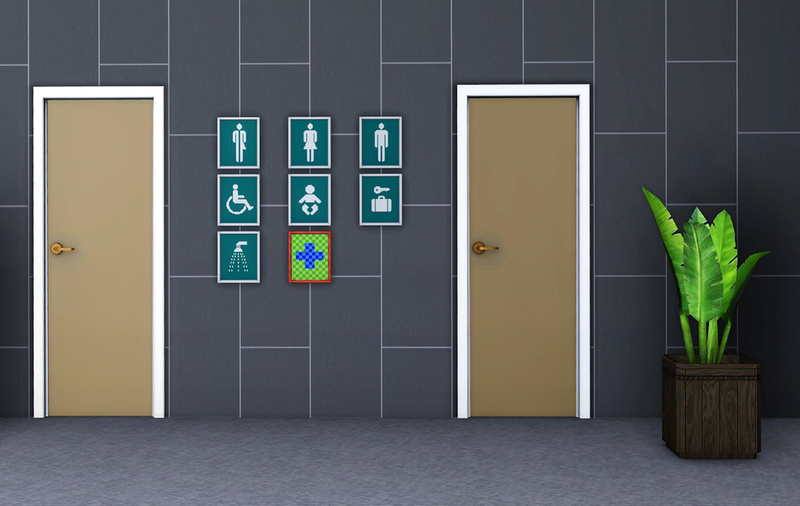 Three recolourable channels: frame, background, pictogram. Do not re-upload or redistribute elsewhere. May be included with lots if credit and linkback to this page are provided.